In 2005, the club had a “Reading Garden” landscaped at the South Haven Memorial Library for the enjoyment of library patrons and the community at large. In 2007, the club landscaped the south side of the library by adding a flagstone path and plantings. We continue to maintain this garden. So if you would like to share your great garden skills please volunteer or just stop by and tidy up the gardens! Spring to fall participation is needed for cleaning planting watering and fall clean up. It is a small garden but located next to the farm market which gives us a chance to show off our gardening skills. Needed: 8-10 members participate in pure gardening! The club budgets $400 a year for plants mulch and fertilizer. Since 2001, our newsletter has been published 10 times a year. The newsletter was appropriately named The Petunia Patch because the Petunia is the South Haven City flower. 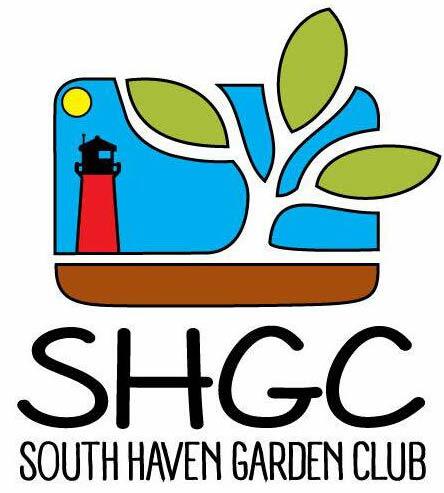 The SH Garden Club members use the Newsletter as an interesting source for information about the club activities, regular meetings, special events, gardening reminders, helpful horticulture tips and information about members’ happenings. To contribute information about member happenings, photos, events, write articles on topics of interest and ask questions of Ms. Smarty Plants. The newsletter is computer generated by the Garden Club volunteers. Most interaction occurs via email so no travel is necessary to volunteer for the newsletter. The current and all past newsletters since 2007 are posted on the Garden Club website and mailed to those who request it. Plus; all club members are encouraged to submit information to be included in each publication. The newsletter has nominal cost as it is posted on our Web Site for the club members. About 10 copies of the newsletter are mailed out. Stamps are purchased from the US Postal Office. We receive no in kind donations.